Is your kid playing flag football, or tackle, and in need of cleats this 2019 season? As a parent of one or more active children, you’ll want the best youth football cleats for kids, so they aren’t slipping and sliding all over the field. Defining the right football shoes for the particular style of play, flag football or tackle, is going to determine what kind of gear to grab before the start of the next season. Before you shop, let’s dig into to the variables of what makes the best football cleats for kids, covering all cuts and budgets, and highlighting one model that doesn’t live up to its claims and price. Along the way, you’ll find reviews of the top 3 football cleats brands, as well as the 9 best youth football cleats on the market, in tackle and flag football, and the 1 to avoid. Neat Trick: How to Clean Football Cleats in 7 Simple Steps! Under Armour Boys UA Highlight RM Jr Football Cleats Review: These are the probably the best high-top football cleats for kids and among the best Under Armour youth football cleats. They have a synthetic but durable upper, with a classic design based on a stylish black and white color combination with red, blue, and green options available for the laces and trims. The UA ClutchFit technology used for the upper ensures the perfect fit and reliable support linemen need in order to enjoy maximum comfort, keep their balance during lateral movements, and reach maximum speed when the game calls for it. The sole is made of flexible rubber and has molded cleats, to ensure excellent grip and traction on all surfaces. The die-cut EVA footbed ensures comfort and stability. Overall, these cleats are extremely comfortable and lightweight. Their only problem seems to be that they are a little difficult to put on, therefore not suitable for preschool children. Boys Nike Strike Shark Grade School Football Cleat Review: Although not as popular as the Under Armour model reviewed above, Nike’s Strike Shark high-top football cleats are at least as good looking, easier to put on, and very comfortable. They are an excellent choice for defensive players, linemen, and linebackers, especially when your kid begins to care about the looks of gear. Available in various combinations of black, white, silver, and blue, Nike’s cleats have stylish yellow trims on the sole, and a modern design that yields determination and courage. 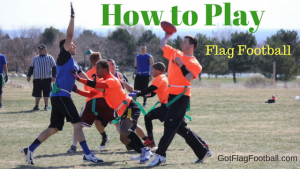 They will provide your boy with the support and confidence he needs, no matter if he or she is playing flag football or tackle football for fun or at a high-performance level. The Strike Sharks provide excellent ankle support, comfort, and stability, due to the strap that is easy to hook and loop, and the foam collar that wraps the ankle. Another feature that makes them one of the best football cleats for kids is the Phylon midsole, lightweight, but with aggressive patterns that ensure excellent traction and improved acceleration, and smart cushions for ultimate comfort. adidas Performance Kids Freak Mid Md j Football Shoes Review: The Performance line is one of the best adidas created, and these Performance football cleats could easily qualify as the best mid-top football cleats for kids. They have a very affordable price point, approval for skill-sets from college and high school levels, and a flexible design that makes them suitable for both football and lacrosse. They have a simple yet attractive black/white/grey design that emphasizes the EVA insole, molded to provide excellent comfort. Its molded lugs are discrete but aggressive enough to ensure optimum traction on almost any playing surface. The top part of the cleats is low enough to make them easy to put on and take off, but high enough to support the ankle and ensure ultimate stability during quick cuts and speed. These are the best adidas youth football cleats for quarterbacks, running backs, and wide receivers. Under Armour Kids UA Hammer Mid RM Jr Football Cleat Review: If you are an Under Armour fan and your kid is a quarterback, you’re in the right place. These are the best football cleats for kids who prefer the mid-top design. Their price is extremely convenient for their durability and comfort, and their design is very attractive and versatile, making them suitable for other sports as well. The top is made of perforated and synthetic material to ensure ventilation and durability. Each pair of cleats comes with laces in 5 different colors, to match any equipment. The power straps keep the foot into position, supporting the ankles and ensuring stability in all situations. The die-cut EVA footbed is cushioned to provide excellent comfort. The sole is made of rubber, and provides excellent traction on most grounds. Contrary to what their “hammer” name might suggest, these cleats are lightweight and a pleasure to wear. Nike Kids Alpha Shark 2 3/4 Bg Football Cleat Review: It’s always a matter of preference, but in our opinion, these are probably the best Nike football cleats for kids, with a mid-top, perfect for defensive secondary players, cornerbacks and safeties, and those who want speed, comfort, and stability. Although they were designed for boys, don’t be surprised if you see girls wearing them in flag football – that’s how comfortable, lightweight, and stylish they are. The secret seems to lie with the combination of synthetic leather and textile for the upper, ensuring flexibility and durability for the cleats, and comfort and optimum ventilation for the wearer’s feet. The scratch detail emphasizes the modern design of the cleats and makes them even more attractive. Perhaps the most important feature of these Alpha Sharks is the Phylon midsole, with its ¾ wedge and mid-foot cushioning, providing comfort and stability. The excellent traction ensured by the aggressive rubber outsole is taken to the next level by the Nike fast-flex technology, promising speed and natural performance. Add to that the low profile of the forefront, and it should be easy to see why these mid-cut shoes are among the best youth football cleats. Reebok Little Kid Jr Audible Mid II Football Cleat Review: Although not as popular as the preceding model, these mid-cut cleats draw attention with their high quality, ingenious build, and their sleek design, reminding of soccer cleats. They are durable, lightweight, and comfortable, and they come at an impressively low price. For the top of the shoe, Reebok relied on synthetic textiles, complimented by a padded collar and a cushioned tongue, promising optimum comfort. For the sole, they chose a plate injected with TPU, molded Mortrac FGT cleats, and the already famous Hardlink arch system. The innersole features a Bi-Fit board. As a whole, these cleats are an excellent, budget-friendly option for both practice and games, grass and turf. They ensure stability, traction, speed, and movement control. They support the arch of the foot, improving balance and stability, and provide comfort and flexibility, just what a young man needs on his way to victory. adidas Boys Corner Blitz 7 J Low Review: If your son plays as a corner back and tends to draw attention on the field, you can make things easier for them with these adidas Blitz. They are so practical and have such a versatile design, that he can wear them outside the football field for other sports as well. They are also durable, so you won’t regret paying the not-so-affordable price. What makes them the best low-cut youth football cleats? Their design is simple but attractive, promising to look good on any foot. The upper is made of a combination of nylon mesh and synthetic leather, for improved durability and breathability. The strap and lace-up closure system ensure excellent fit, speed, and support. The EVA rubber insole is flexible, lightweight, and comfortable, while the outsole provides traction on almost any surface. Nike Land Shark 3/4 GS Youth Football Shoe Review: Kids show their talent for sports as early as pre-school. When they love football, a simple pair of cleats can help them improve their performance and cultivate their passion for sports considerably. Don’t get them just any pair of cleats! They deserve the best preschool football cleats, namely these Nike Land Sharks. They have a comfortable, perfect fit, breathable upper that combines leather and manmade materials. Their flexible Lug Sole with multiple molded cleats is designed to ensure stability, balance, and traction on all grounds. They are so comfortable that your kid will forget they are wearing them, or will refuse to take them off when leaving the football court. Zephz WideTraxx Football Cleat Youth Review: The best football cleats for kids with wide feet, these Zephz are not the lowest priced cleats on the market, but as a parent, you do what you have to in order to ensure your child’s comfort, safety and well being. It is important to note that, besides being able to accommodate wide feet, they are also durable and lightweight. The synthetic upper is flexible and stylish. The TPU outsole has rubber cleats and rivets for improved traction and speed. These youth football cleats can make an excellent choice for any kid, no matter their position on the field or their design preferences. Classic Sport Youth Streak Mid Football Cleats Review: Sometimes, your budget is unable to support all of your expenses, and kids sports activities bring about unexpected expenses. However, if you are under the impression that you’ll save money by buying cheap football cleats for your kid, you’ll be surprised to find that replacing cheap gear is often more costly than going with the top quality equipment from the start. The affordable price of this Classic Sport model makes you oversee the details, but don’t be surprised if they fall apart after your kid wears them to just a few practices. It seems this is the average lifespan of this brand. We feel you would be better off paying a little more and getting some comfortable and durable cleats. Perhaps none of the above matches your child’s needs and personality, or perhaps you want to do your own research, and you just need some guidance regarding the best brands. You’ll find details of the three best-rated brands below. You can be sure they produce the best football cleats for kids of all ages and performance levels. Under Armour: If you want the best youth football cleats money can buy for your kid, we suggest you reach for Under Armour products. Overall, Nike and adidas seem the bigger, more successful, and reliable brands. However, Under Armour was founded by a professional football player, and that should count for something. Its founder is Kevin Planks, and its history can be traced to 1996. It all started with the idea of creating a unique T-shirt able to provide compression, wick perspiration off the skin, regulate body temperature, and boost football players’ performance. Now, Under Armour produces sports gear that caters to all athletes’ needs, constantly improving their materials, technology, and design. In terms of youth football cleats, they have already conquered the U.S. market, and the feedback received from overseas customers is more than encouraging. Nike: The world’s largest sportswear manufacturer, Nike is one of the few companies that have understood the power and importance of storytelling. Their products tell a story of hard work, ambition, and constant desire to improve, a story of success, written throughout more than half a century of athlete on-field accomplishments and off-field sponsorships. Named Blue Ribbon Sports at its founding, in 1964, Nike received its current name in 1971. It evolved from distributing the creations of the Japanese shoemaker, Onitsuka Tiger, to creating its own sportswear. They have been doing it in a unique, impeccable style, worthy of the Greek goddess of victory the company took its name from. If the name of the Romanian tennis player Ilie Nastase, the first one to endorse Nike doesn’t ring a bell, those of Michael Jordan, Roger Federer, Rafael Nada, Tiger Woods, or Cristiano Ronaldo surely will. A single look at Nike’s football cleats collection should be enough to convince you that your son’s feet will be well taken care of in a pair of Sharks. adidas: You should find it easy to trust a German company that came to life almost 7 decades ago and wrote history in the sportswear industry. It was funded in 1949 by Adolf Dassler. If origins and experience are not enough to convince you, perhaps the fact that adidas is the largest sportswear manufacturer in Europe and the second largest in the world will. It seems success is not accidental in the Dassler family. Adolf Dassler’s brother, Rudolf, is responsible for another famous and successful sportswear brand, Puma. The adidas Group includes Reebok, TaylorMade–adidas golf company, and Runtastic. You’ll find the brand’s name associated with professional sportsmen like Lionel Messi and Andy Murray, and sports teams from all over the world. The adidas brand is organized in three groups: Performance, Originals, and Style Essentials. If you want the top quality, fit, and the performance for your child as far as youth football cleats are concerned, you should look for adidas Performance models. They were created for professional athletes. Originals products are a tribute to loyal customers and a tribute to the features that made the brand famous, while Style Essentials products target the fashion market. As you’re now aware, there are several types of football cleats, various brands and models, and various prices, some justified and worth paying, others not so much. To help you make the best decision, we’ve put together a buying guide teaching you everything you need to know about football cleats and the process of investing in the right pair for your child’s safety and enhanced playing ability. Just like having the best youth mouth guard for football, cleats make a major impact on avoid injury. Now that you know more about the brands and products available, it is time to figure out what model is best for your child. How do you do that? Before you click through and go shopping on Amazon or your favorite sporting goods shop, you’ll be best served to establish your child’s needs and your available budget. You also do your homework regarding the types of football cleats and the purpose each one serves. This guide will help you with that in the following sections. Age and Performance Level of the Child: The needs and expectations of preschool kids differ from those of a middle school or high school player. For a preschool kid, the comfort the cleats provide, their light weight, and the way they fit will matter much more than their suitability for a certain position or the speed they enable him to reach. Also, a child playing football only once or twice a week per season, or during after-school hours, will have lower requirements than a child who is on the school’s team, aims to get a football scholarship, or plays in a regional or state championship. Top Height and Grip Support: Larger players, especially offensive and defensive linemen, usually prefer high-tops for the added support and stability. Skill-position players treasure these features but often sacrifice them in favor of the lighter weight and increased speed provided by low-cuts. The grip is important as well. You should choose your child’s cleats according to the requirements of the field he plays on: grass vs turf. The best football cleats for kids needing traction are those with molded cleats and rivets. However, if your son does not care about the grip so much, you may want to choose a model with less prominent cleats, so that he may wear them to school or when going out with friends as well. Cost: As a parent, we’ve all got bills to pay and unexpected expenses that pile up. However, trying to save money by buying some cheap youth football cleats is not the best option overall. They will likely break down much sooner, and force you to spend even more money. If you check the prices of the products below, you will see they are at least acceptable, judging by the quality and durability they ensure. One pair of professional football cleats like the ones reviewed above will surely last longer than 2 pairs of the half-priced but poor quality cleats we advised you to avoid. High-top cleats provide superior ankle support. They are the best football cleats for kids who play in the defense, who make quick, dangerous lateral movements (linemen). Mid-top cleats support the ankle as well, but to a lower degree. In exchange, they are lighter, more flexible, and allow faster movements. They are perfect for defensive backs, quarterbacks, running backs, and wide receivers. Low-cut cleats do not provide the much desired ankle support, but they are the lightest and fastest, many players sacrificing their comfort and safety for the added speed and freedom of movement. Use a sponge of cloth dipped in warm water to remove excess detergent. The insoles should be removed from the shoes and cleaned separately, or even replaced when the odor cannot be removed.